Lancome Photogenic Lumessence Makeup was recommended to me by a very dear friend of mine and without a doubt, it is one of the best foundations I have ever tried! I have been using it for quite a while now and love almost everything about it. I know Lancome Photogenic Lumessence Makeup has been out there for quite some time now but I still wanted to share my love for this Lancome favorite with you all. Before I start raving about this lovely makeup, just want to give you a brief idea about my skin type : I have normal to dry skin with warm undertones and I do have occasional breakouts. Any mattifying makeup/skincare product looks dull/flat on me so I prefer to choose moisturizing formulas with a dewy or luminous finish. To begin with the review, I really like that the consistency is quite creamy but feels light enough to make it feel as though you are not wearing any makeup. I wear the shade bisque 4 which is a perfect match and all I need is one pump to cover my face. I use a foundation brush to apply and it just glides on my skin and blends instantly to give a satin dewy finish that stays put. My skin looks so even and polished with a subtle glow! I have to say that although it lasts all day with a primer, the staying power is not that great if you skip primer. I usually avoid using a setting powder with this foundation since it takes away the dewy finish. Lancome Photogenic foundation definitely has that “light mastering” effect because it photographs really well but as for the line smoothing claim, I can’t say much because thankfully I don’t have any lines/ wrinkles yet. Here it is swatched and blended in on my hand. Although Lancome Photogenic is supposed to give you moderate to full coverage, I find that it’s medium coverage, so if you’re looking to hide blemishes, acne scars etc, you’ll probably need to use a corrector/concealer for those spots. Lancome Photogenic has a hydrating formula and is meant for normal to dry skin, so make sure to use a setting powder if you have combination skin or an oily t-zone otherwise it might get a little too shiny on those areas. Overall, I really don’t mind the hefty price tag $42 considering that a little goes a long way and gives my skin a natural and flawless look. It has never oxidized on me or caused me any breakouts or irritation so I think I have found myself a true keeper! As a side note, recently I got the 7 day supply of the new Lancome Teint Miracle liquid foundation from Macy’s and I was very excited to try it but it didn’t impress me as much. The ‘glow’ factor was somehow missing and the coverage was on the sheer side for me. It also didn’t feel as moisturizing on my skin as the Photogenic Lumessence does. And later I noticed that alcohol is listed as one of the top ingredients which totally puts Lancome Teint Miracle off my wish list! Hey Justine, hope it works out for you too……looking forward to hear your thoughts! Rosanna, finding the right shade can be sometimes difficult. Have you tried mixing two shades to get your perfect match? Actually all the Lancome are too dark for me :*(( I am trying to figure out the color equivalence between what’s on the Eu market and what’s available in the US.. I suspect Lancome Photogenic Lumessence might have a shade for me in the us. In the EU, shade 01 is too dark and yellow (it’s called Beige Albatre). Teint Idole has a 010 shade (Beige Porcelaine, which Photogenic used to have) which is still a tidbit darker and yellower than I need it to be – on top of it Teint Idole isn’t good on my dry skin. I’m pale but *neutral* toned and most brand have either “warm” or “cool” shades. In the US Lancome does have two neutral ivory, 1N and 4N. I suspect either 1N or a mix of 1N and 4N might do the job. 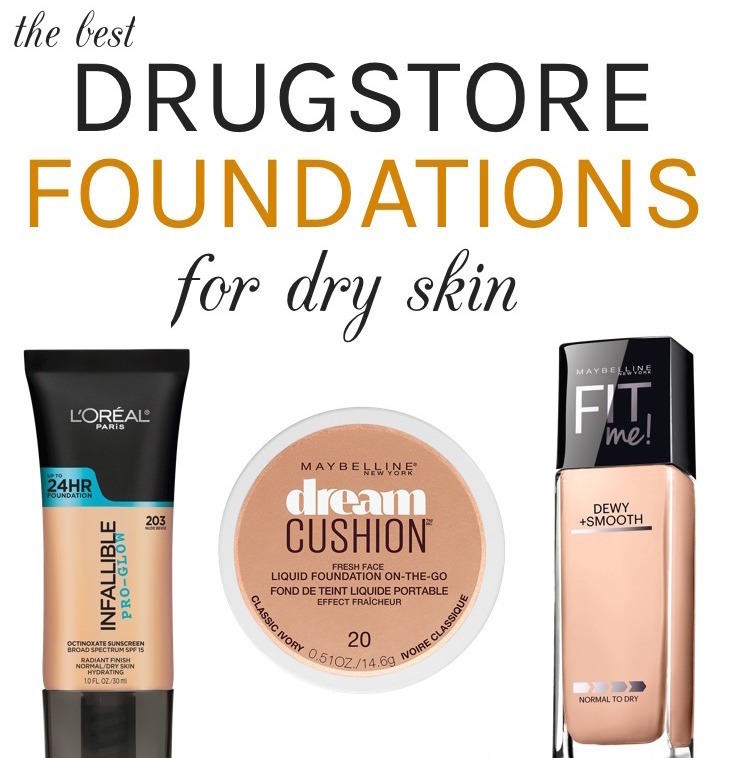 Ive been using lancome foundation 24 hours but woukd like to know if there is something similar ar the drug stores.